Two | Live. Learn. Love. Eat. Seraifna is officially two years old now. 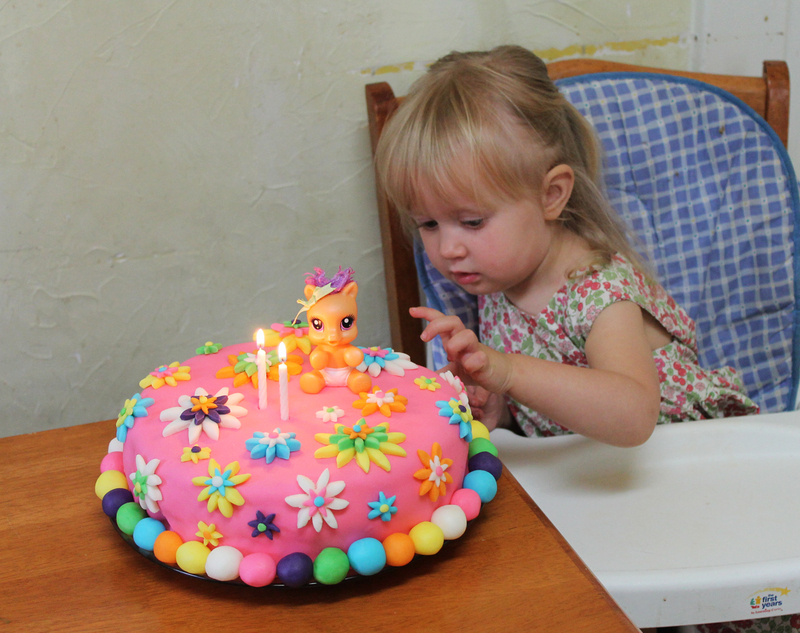 Yesterday I was busy, busy making her first ever fondant birthday cake. 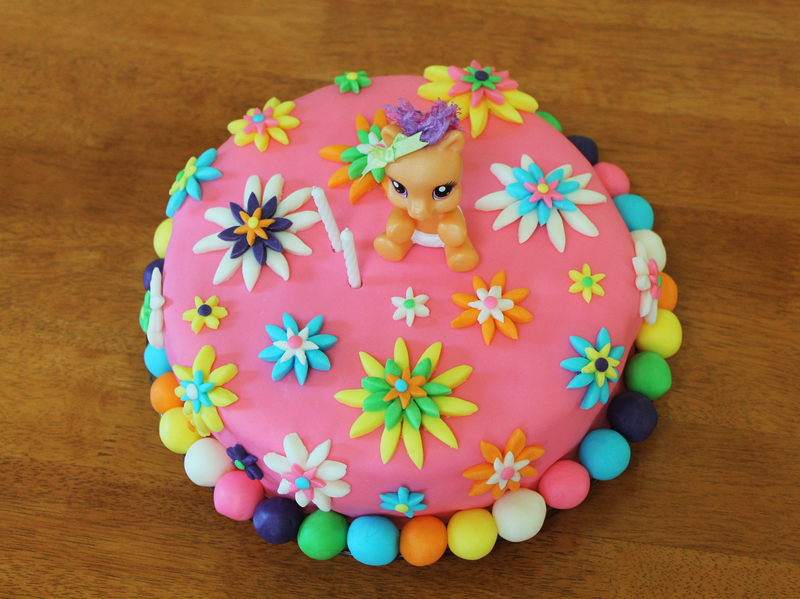 Every birthday that my girls have I go back and forth between wanting to make a fondant cake, but since last year I made her a fruit cake, I thought this year, I should do something a little more fancy and special for her. 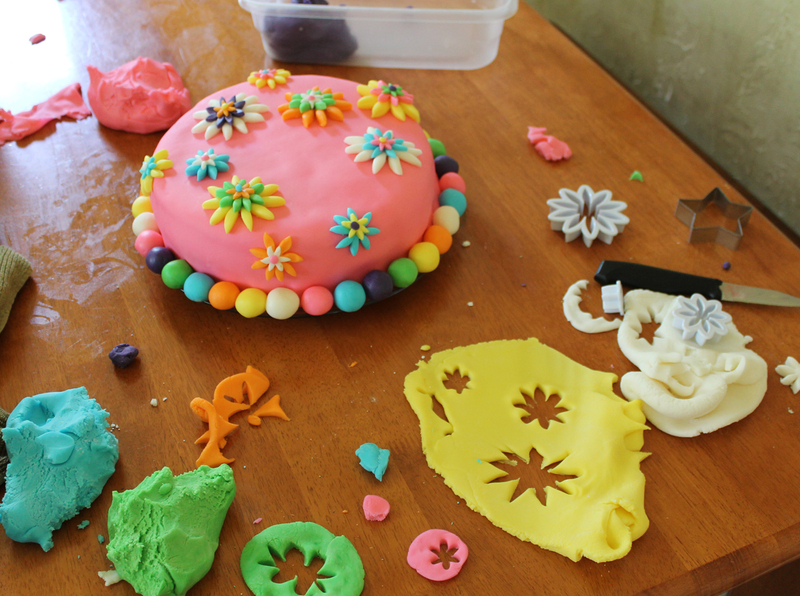 I had no plans with this one and just decided to start making different colored fondant icing and decorating. 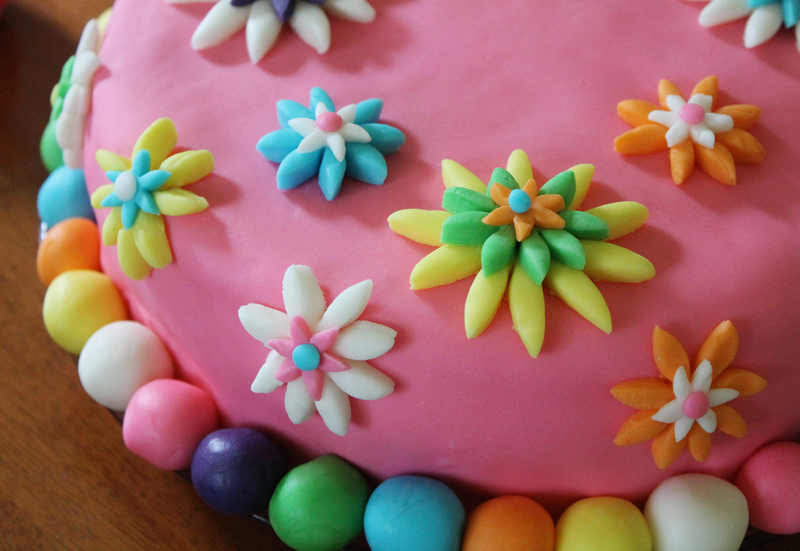 I went with the flower fondant cutter that I bought a while back and used on one of Kesa’s cakes. I think the flower design turned out very beautifully! 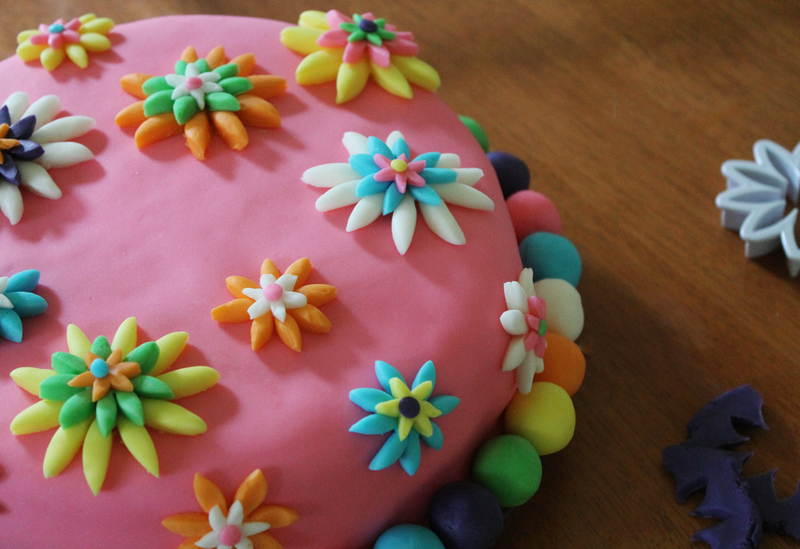 I also rolled the fondant into little balls to place around the cake. It looks pretty and it hides any imperfections. 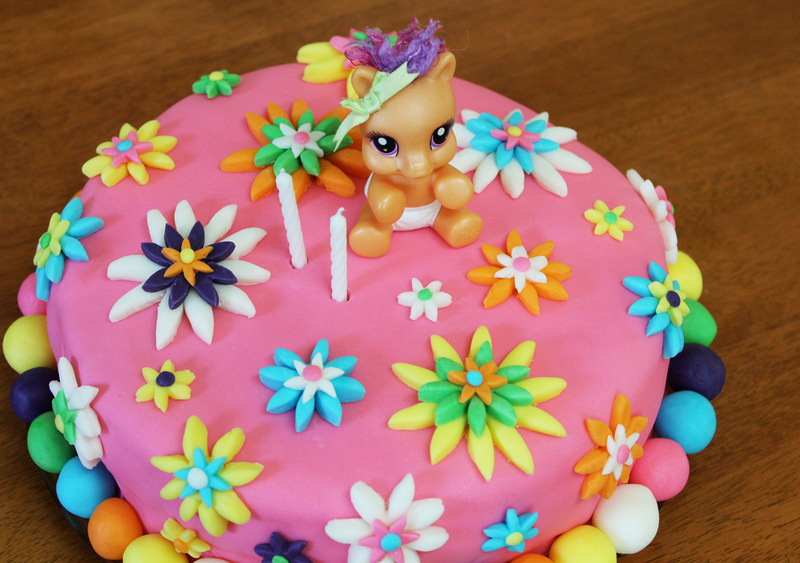 And then I just placed a baby my little pony toy that we had on top. Every time I stress over the cake turning out, but it always seems to turn out better each time and then I feel like I wouldn’t ever mind doing it again. Until of course I am in the middle of making the next one. 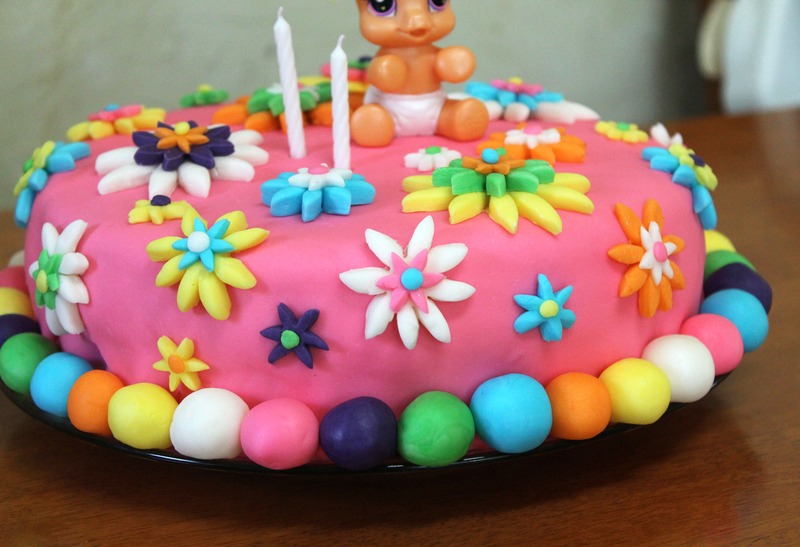 They sure do take a long time to make (this one took 4 hours from start to finish), but I am happy to have the memory of making their own special birthday cakes. The cake was my banana bread recipe that we all love (without the walnuts), which I doubled and spread between two 9-inch cake pans, baked at 25 minutes. 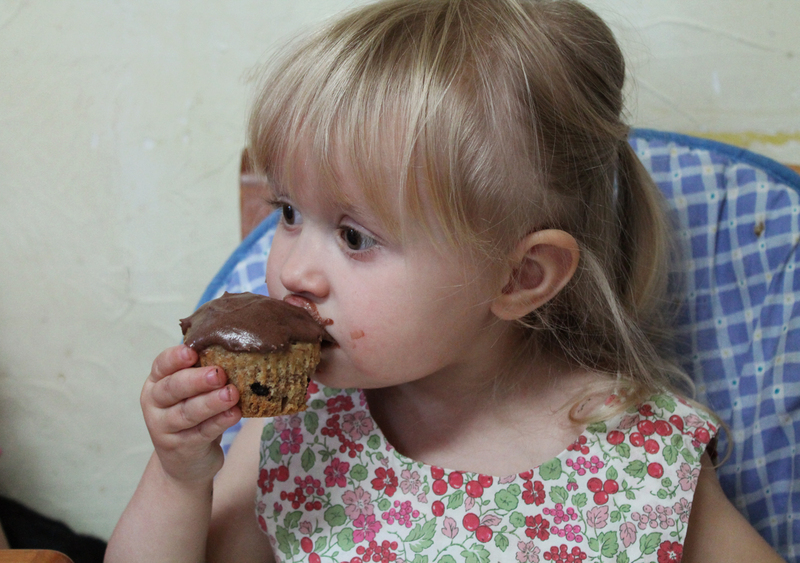 I also baked some banana carob chip muffins which I frosted with a chocolate frosting. I used the blueberry banana muffin recipe and just replaced the blueberries with carob chips. We had both sets of grandparents over in the evening for a little celebration. 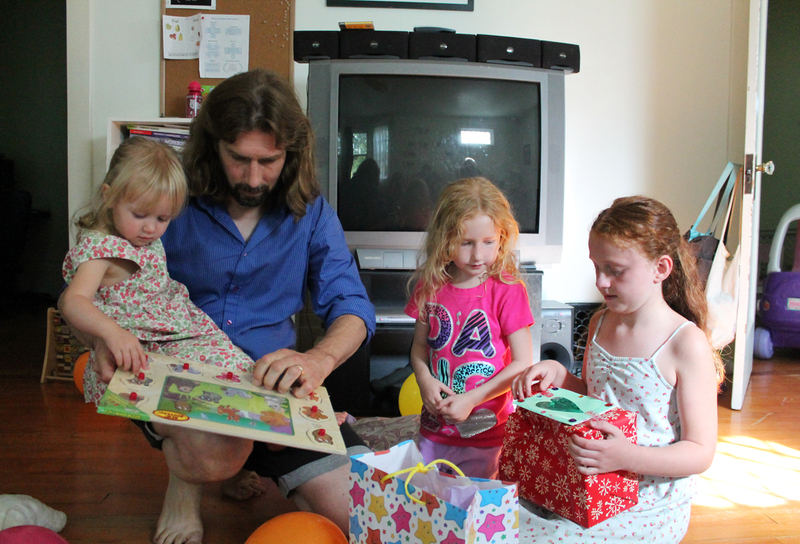 I used to stress so much about having birthday parties and so many guests, so now we usually just do a simple, small, family celebration for birthdays. 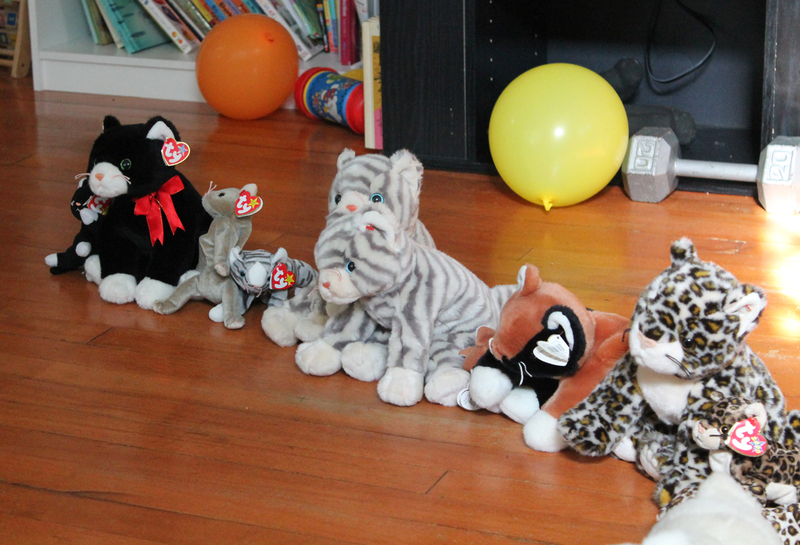 The girls all love the TY cats so much, so I found a great lot of them on ebay for a good price, which I knew would make a great gift. 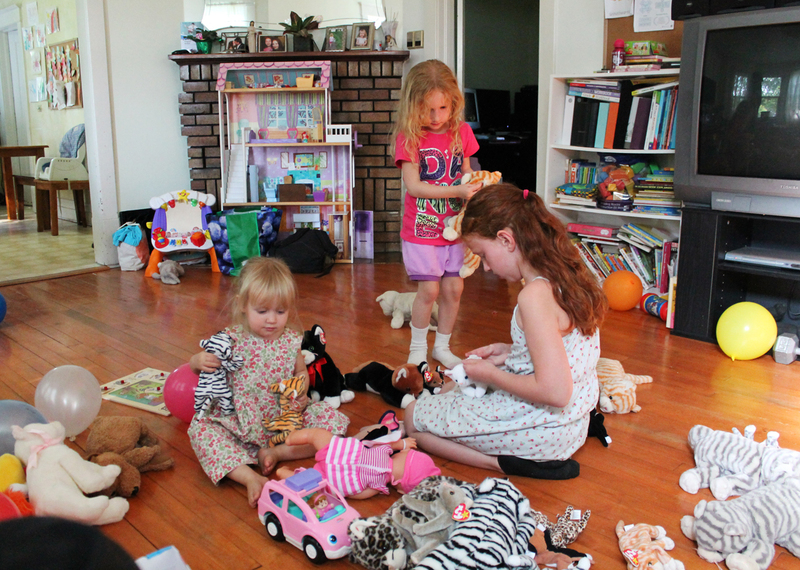 Now we have a house full of cats and the girls are so happy because there are plenty to go around. 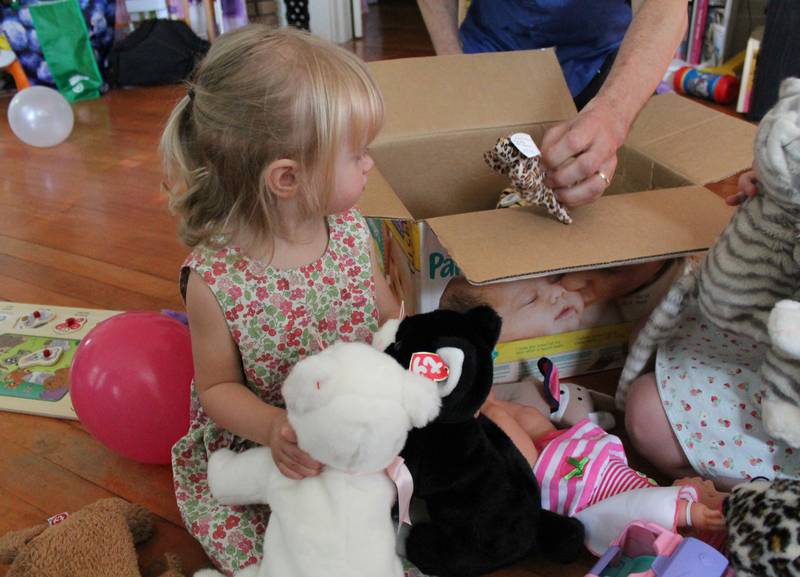 Teenie beanie babies to big beanie buddies. 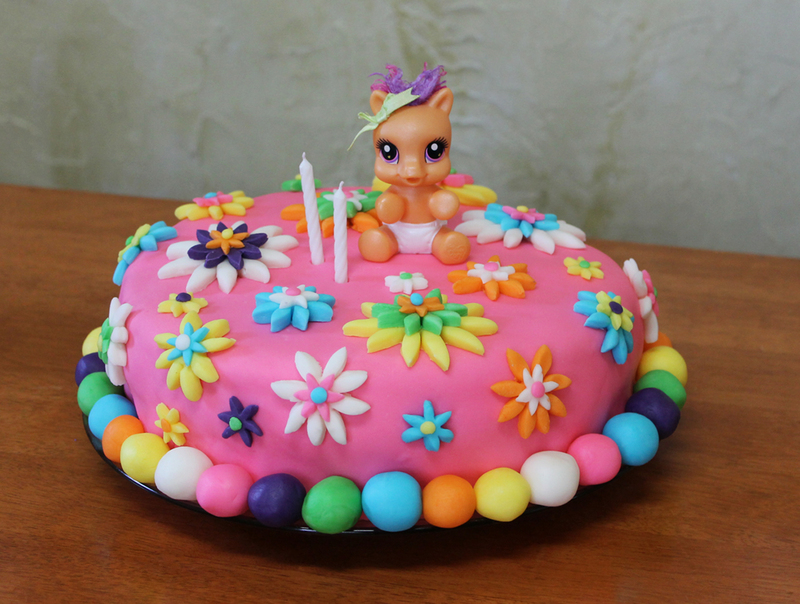 Happy birthday, Seraifna! 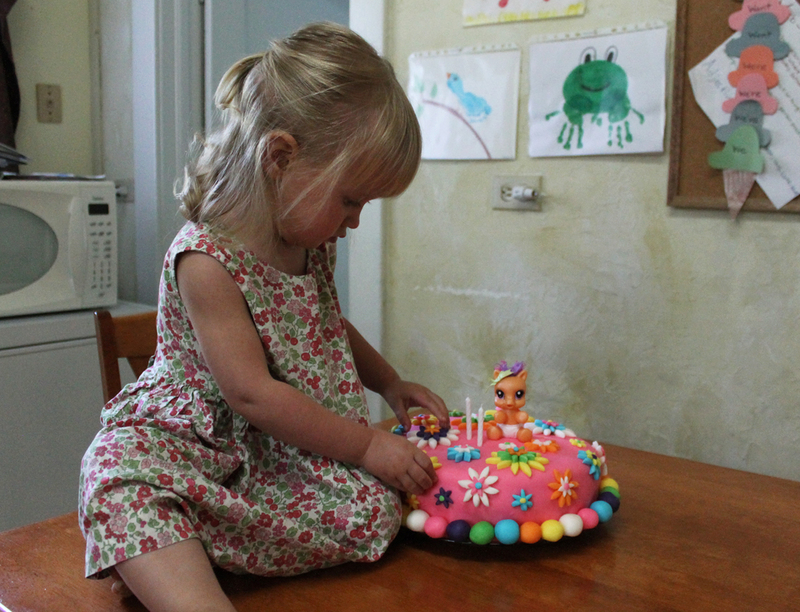 What a beautiful little one and a gorgeous cake! 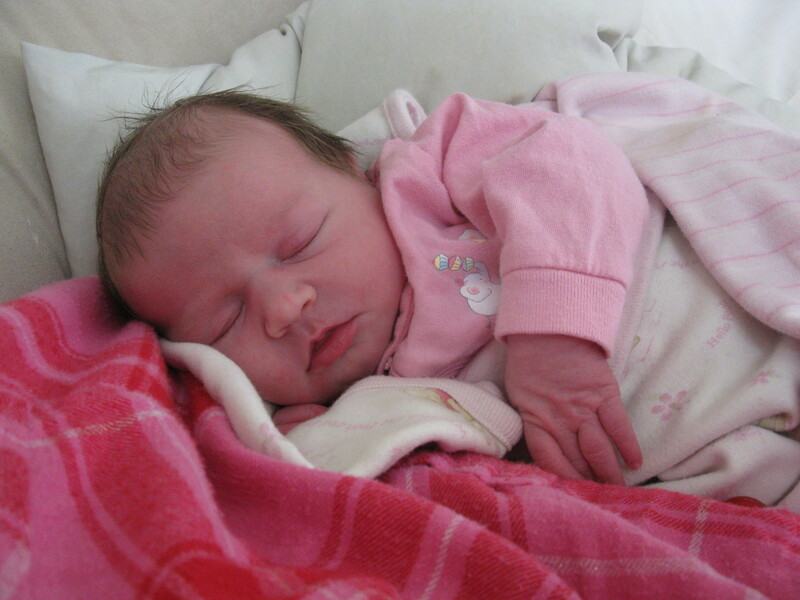 Happy birthday, Serafina! What a gorgeous cake!! I’ve only made one fondant cake, it was for my sister-in-law’s wedding years ago and was 3 tiers. Not her official wedding, but for one of the ceremonies that was held at our home. 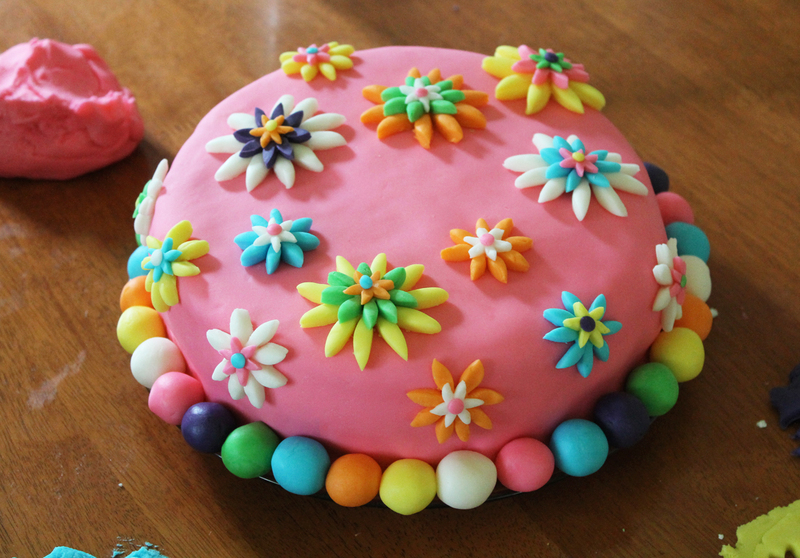 It turned out very pretty, but boy was it a lot of work, and then there was the problem with the fondant dripping colors since the humidity is so high here, ugh! I haven’t attempted since. I love your multi colored flowers! Wow Tiffany!!!! 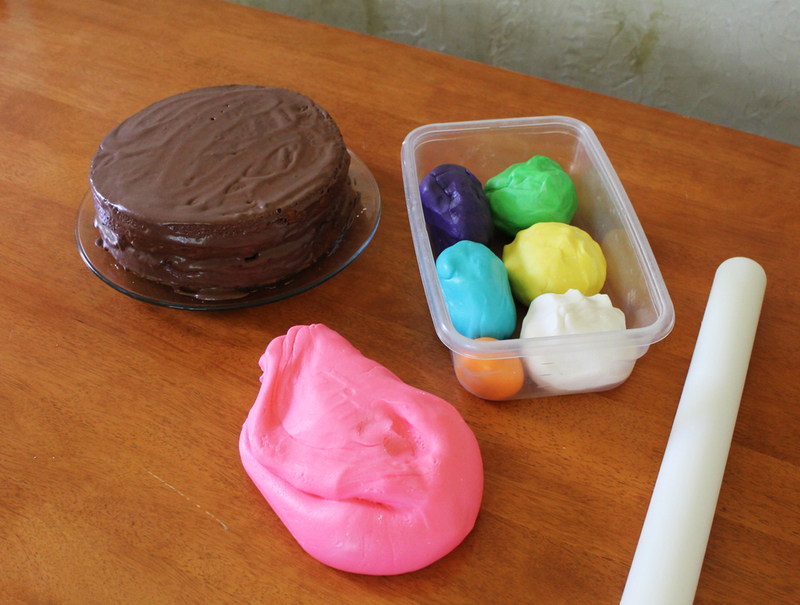 I love seeing your cakes… That is an amazing cake. You are so talented! And your little angel is beautiful too. 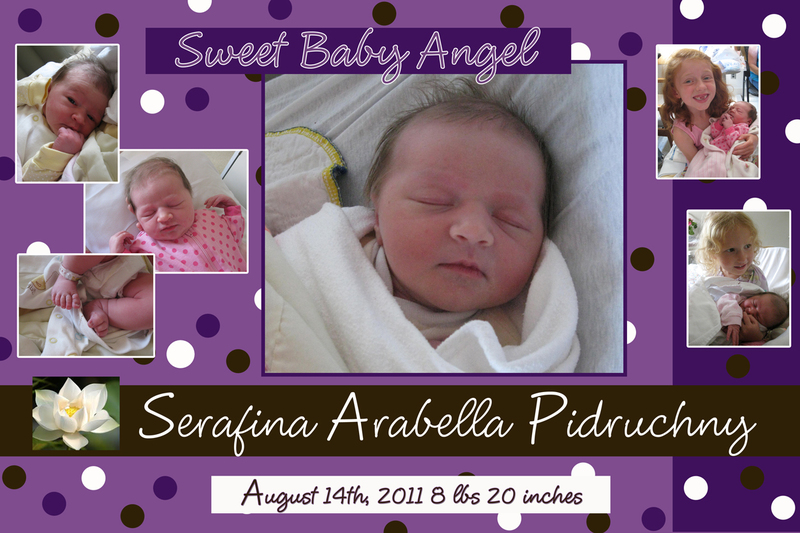 Happy birthday Serafina! That is one awesome cake!!! Nice work mama. Looks like a great celebration, we keep things simple and small too, it suits us and feels just right. 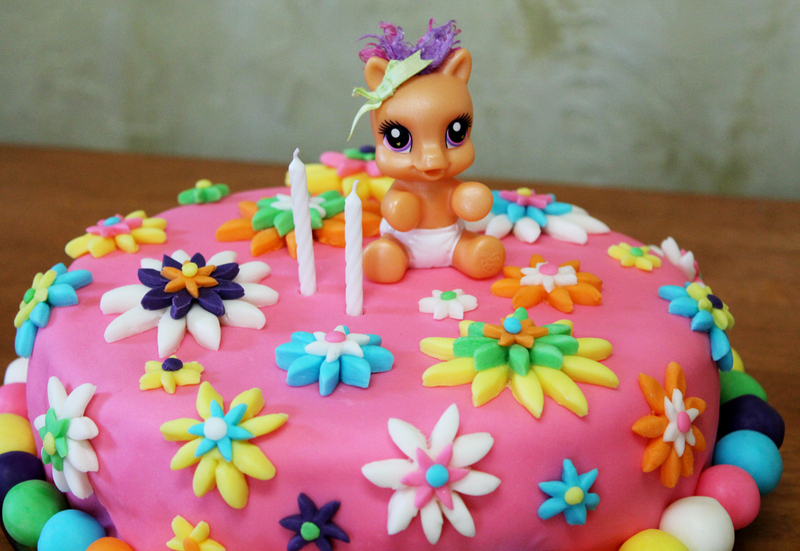 I hope that Serafina had the happiest of birthdays! 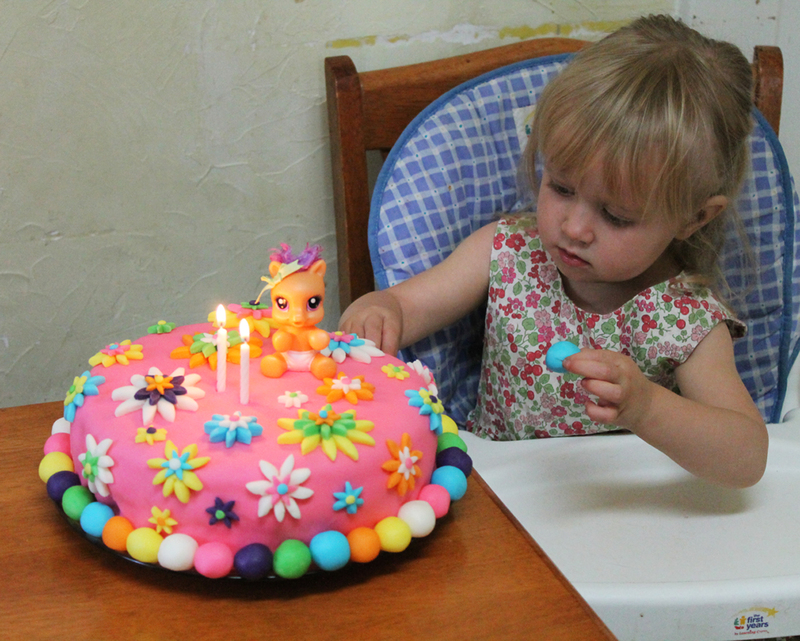 The cake you made is so colourful and pretty, I bet she loved it… Hard to believe that she’s already 2… Where does the time go? The cake is absolutely beautiful, Tiffany! 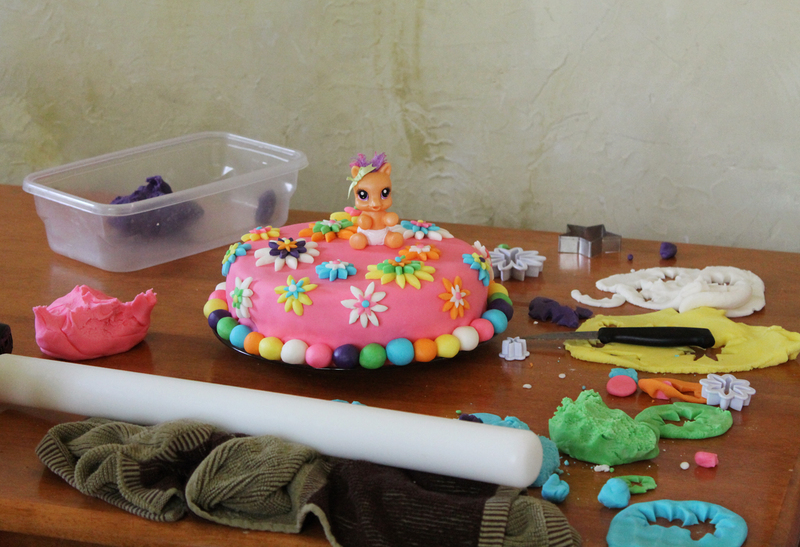 I agree that making our kids’ birthday cakes is a really special and worthwhile thing to do…no matter how much work! They will remember the cakes their mom made and have pictures to show their own kids. 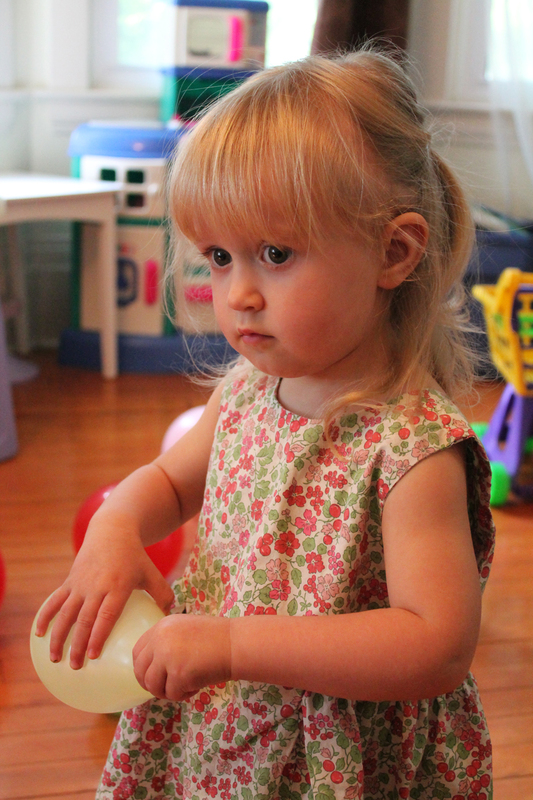 Happy birthday, sweet Serafina!